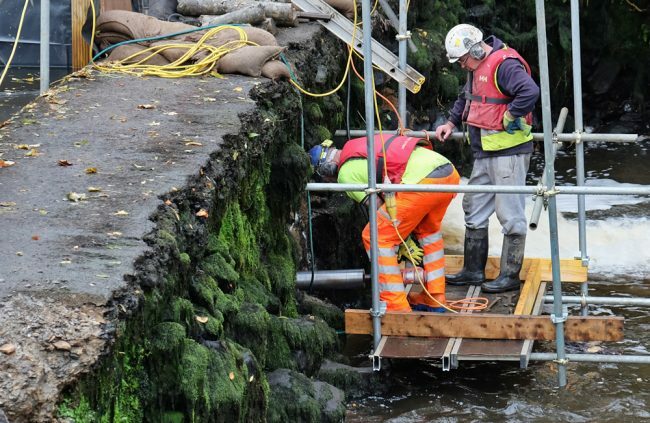 After battling with fluctuating water levels for the last few weeks, contractors managed to make progress at the site this week installing 2 temporary inflatable dams and an sand bag barrier at the upper end of the site. 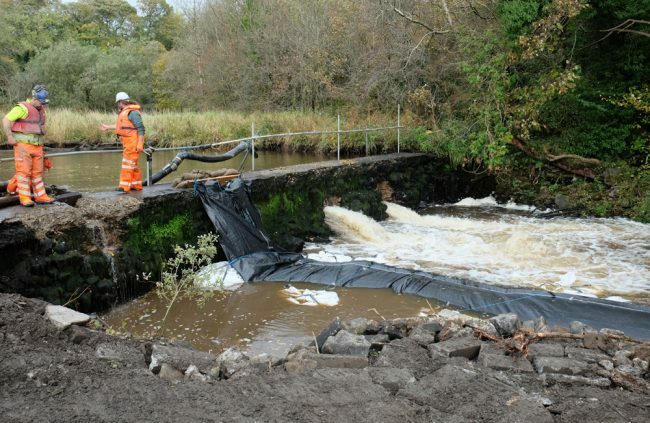 This was achieved by cutting 2 holes in the existing dam wall to allow excess flow to be managed. These holes will be plugged on completion. Cutting holes in the dam wasn’t without problems but they persevered and eventually succeeded. Once both cores were removed the upstream impounded water drained within an hour allowing the temporary dams to be placed. 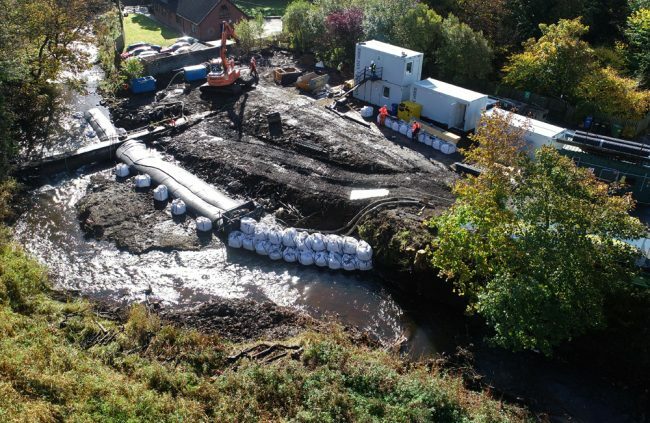 Two water inflatable dams were installed and the upper end was sealed off with sand bags wrapped with polythene. This allowed a dewatered are to be established and work to excavate foundation can commence. This freed up working area within the site and steel reinforcement for the fish pass in now being constructed. This will be lowered into the excavations once completed and the concrete base poured. Its good to see progress being made. 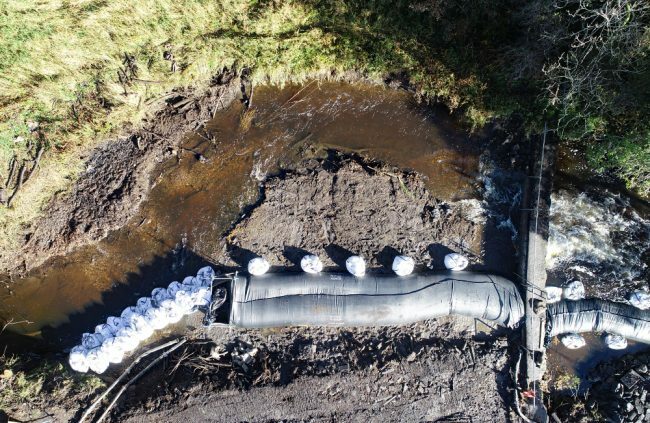 There is silt protection in place downstream of the work area and this can be adjusted as necessary depending on the activities underway. Interestingly, a couple of salmon and a decent trout were seen below the dam just before the first hole was opened but these have disappeared…hopefully upstream through the hole.